When the ZRankings team got serious about turning our idea into an actual web application where skiers could glean high-quality, usable data and information with which to book the best ski vacations, none of us had families. We put out family ski resort rankings when we launched several years ago, but we quickly pulled them down, realizing that they weren't well thought through, unlike the other rankings we've done. As fortune has it, many of us on the ZRankings team do now have families, with nearly a dozen kids between us. Our kids are on the hill all the time, and we drag 'em with us wherever we go: Colorado, Utah, Wyoming, California. Otherwise, we'd never get to go. So now, having brought our children to dozens of best ski resorts across the United States, we finally feel ready to put forth our rankings for the best ski resorts for families. We offer a little more explanation on the factors below. Hot Tip: Dads and moms skiing with a family that includes little kids should wear a backpack. It's handy for snacks and all that, but it's most useful for including a lightweight pair of shoes for the kids to wear at the beginning and end of the day. That way, it's easier for the little people to walk around on their own and get from the car to the slopes and back without whining for a lift. It's also nice if the pack's straps will accomodate a pair of skis or two, which will make parents' sojourns from and to the car much easier. This isn't something that people without children notice. But once you've got kids on the mountain with you, the little things—free gear wagons, ubiquitous kleenex containers, free and copious sunblock supplies, conveniently-located ski schools, gobs of green terrain—quickly stand out. Some resorts simply weren't built to handle kids well. It might be that all their green runs are hazardous cat tracks, rather than wide ribbons of white with natural fall lines; or it might be that very few of the lifts near beginner and intermediate terrain are detachable chairs (vastly preferred by parents everywhere). We notice that stuff. Some ski resorts, however, have built themselves around the kid experience. They heap activities and opportunities in and around their ski schools, they provide great kid-friendly lunches, they have lifts that cater to li'l skiers, some even give out free chocolate chip cookies. It's also about culture. Ski resorts that have built experiences around the family dynamic generally score better in these rankings that those that don't. That doesn't mean that skiers can't take their kids to lower-scoring resorts, it just means that things aren't laid out to the best benefit of kiddies and their parents—and there's a place for that, too. The best family ski resorts possess copious amounts of lodging, from condos to houses to hotels, in and around the base of the ski resort. Getting the entire family to the mountain is, every morning, a sweaty task that requires the gritting of teeth and a resolve that nobody, not a three-year-old and not a 12-year-old, can stop this family vacation from being what it's supposed to be. Parents of smaller children, especially, can find themselves at wit's end only to be buoyed by seeing another family, with older children, striding to the slopes as they should, everybody carrying their own equipment, everybody excited, and nobody draped in tears or sweat. Skiing families have to get through those tough mornings to get to those days when the kids are more pumped about a powder day than the adults, when it's the younger ones who ski more slowly out of couretesy to the older ones. Those days will come. But dues must be paid. Those dues are more easily paid by skiing families when lodging near the mountain is easy to come by. Every major mountain out West has it, of course, but those with less of it tend to get more of a premium for it. For skier families, we tend to favor ski resorts with more available lodging that is ski-in, ski-out or close to it. Better if it's cheaper, too. But we grant you that's not an easy requirement to often fill, as it's the slopeside lodging that often fetches the highest prices, as it's where everybody, kids or not, wants to be. For ski resorts where a drive might be required, it's great if it doesn't require an Appalachian Trail-style hike to get skier families from the back of the rented SUV to the edge of the snow. This is the place where dads are made into men, where carrying 80 lbs of gear plus a child earns you that extra Colorado Kolsch at night. Of course, dads are still men even if the walk is, as we prefer, fars shorter. How easy is it to get around this place? Things that don't seem like big deals to skiers without children can be major pain points for parents and kids. The walk from the parking lot to the slopes, for instance, is often a forgotten part of the ski day for most, but it is an arduous, sweaty, and interminable journey for parents lugging kids and equipment. Things like free and ubiquitous gear wagons, supplied by Northstar and Keystone, among other resorts, make the unloading and loading experience far easier on families. As do things like escalators that run next to stairs (Beaver Creek), or generous drop-off zones and close-by parking (Park City). It's nice if a shuttle ride isn't necessary to get from parking to the snow, but that's not always the case, obviously, and some shuttle rides are shorter and more convenient than others (Park City). Some resorts go to great lengths to do away with bus rides and copious walking—Deer Valley, at it's northern base area (formerly Canyons) does this well with its Cabriolet lift that whisks people from the outer parking lot straight into the middle of the village, almost half a mile away. A shuttle ride for a 25-year-old isn't a big deal. But for a dad lugging two kids, it's one more exasperating step to getting to the slopes. If it isn't clear, we favor resorts with shorter trips required from car/bus to the slopes. 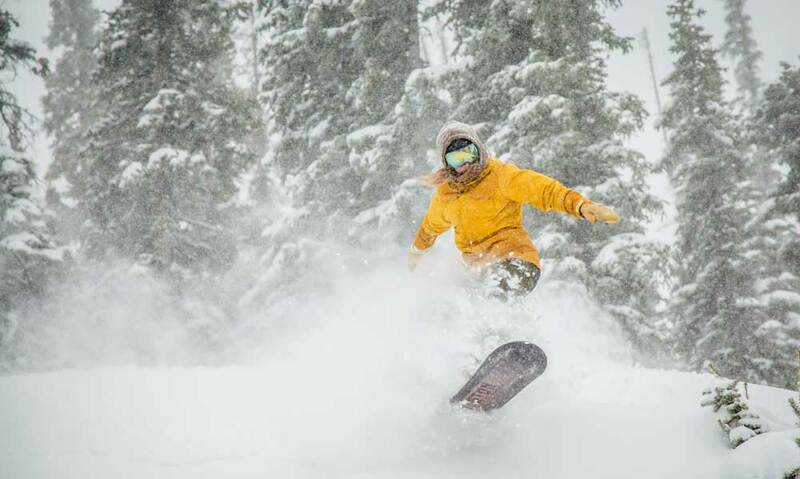 We also favor resorts with a plethora of ski-in, ski-out lodging, or accommodations that are close enough so that transportation isn't even necessary. Telluride, for one, has a deep base of lodging very close to lifts in both its Old Town, and up in Mountain Village. If you want rippers like this in your family, get 'em on the mountain early. Green terrain and mild blue terrain exists at every resort. Some resorts have more of it, however, which makes the on-mountain experience more amenable to most families. And, just as important, not all green and blue terrain is created equal, as any skier knows. There's a big difference between a wide, long, mild green run with pure fall lines, and a cat track—essentially a road—that zig-zags its way down the mountain. This latter kind of run is marked as a green, of course, and counts toward a resort's total green acreage, but it really shouldn't. These runs are fun for nobody, and they often feature steep drop-offs on one side, and not enough room for the mass of humanity that descends the mountain at the end of the day. Simply put: cat tracks aren't great places for kids, although they do make up a large chunk of the green terrain at some resorts. For families, we place a premium on resorts that have legitimate long, wide and straight fall-line green and moderate blue terrain. It's far more enjoyable for a parent to pilot her children down a long mellow run compared with short shots of mild terrain or, our nemesis, the cat track run. Beaver Creek, for instance, has a bevy of good green and moderate terrain around the mountain, especially near the top. Park City, also, is marked by its generous swaths of easy going runs. As is Big Sky in Montana, and Keystone in Colorado. It's better for families if there is easy and moderate terrain readily accesible from the base. For instance, finding mild terrain at the bottom of Heavenly isn't easy. Getting to that stuff requires a lot of work. But the family-friendly terrain at Buttermilk, on the other hand, is right at the base, and all the way up the mountain, and a snap to get to. How easy is the ski school to get to, and how easy is it to get kids through the signup process, into equipment and onto the snow? Once families have made the trek to the mountain and managed to get the kids up near the snow, it's often the case that families will need to get everybody signed up for ski school and into rental equipment. This, as any parent knows, is a Herculean task. Only the brave will survive. The parents must push on—there are awards waiting the victors of this process. We look at all of these things. The best resorts for families have 'em all. What is the overall experience like with ski instructors? 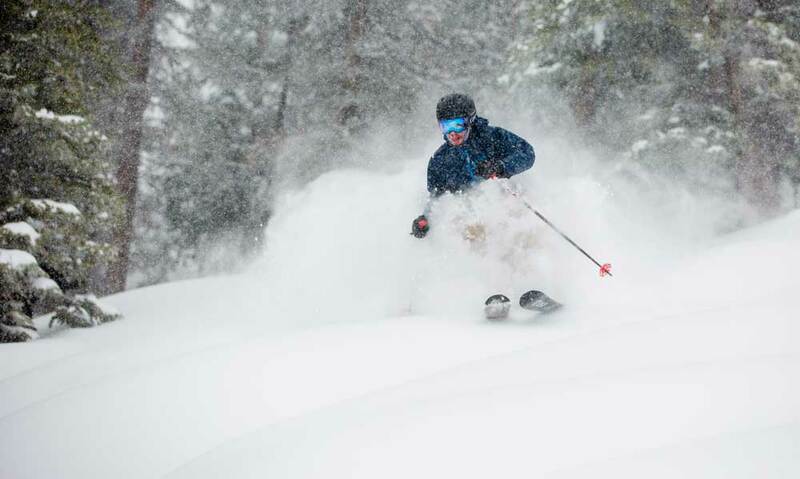 Some ski resorts will throw anybody out there to "teach" people to ski. This is especially true of some ski resorts during the holidays, when the crush of people and traffic at ski school far outweighs the available and qualified teachers to handle it. The best ski schools, however, are built to handle the surges and the dips, and they've built out a qualified staff, many of whom have been around for years and years, who are great teachers of skiing, and great practicers of skiing form, which makes them the perfect people to emulate for skiers looking to improve. We notice when ski schools staff their ranks with highly qualified people up and down. And because we travel with our kiddos for Christmas and New Year's skiing, as well as for President's day and Spring Break, we know what ski resorts have the best ski schools, and that is very much a part of these rankings. ZRankings has special rates for Family Ski Trips!